Packaging is minimal and very effective. My parcel had clearly been thrown around and my tablet is thankfully undamaged. Inside the box are the tablet and keyboard, protective cover/case, quick start guide, power cable and adapter. The Case is gorgeous. It has hidden magnets which hold it closed and also in place when folded as a stand. The keyboard is also attached by magnets. 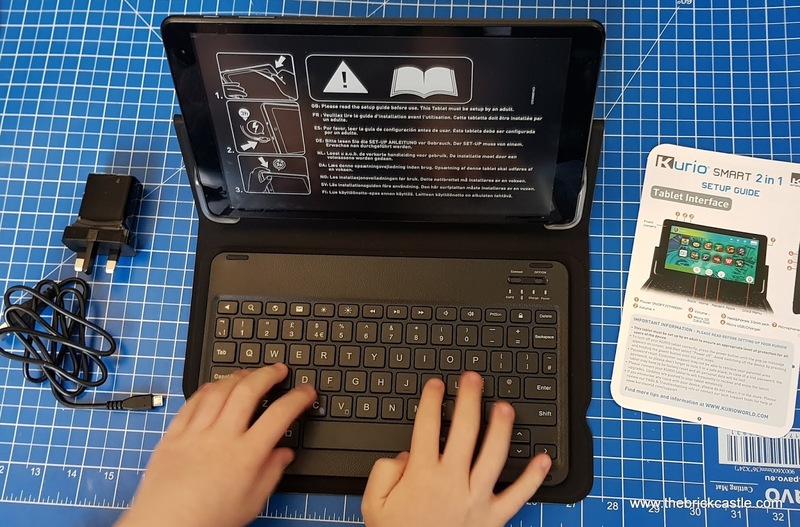 The tablet is held in position by small plastic corners which have a good tight grip without feeling dangerous against the screen. The detachable Bluetooth Keyboard is lovely. This is a beautiful design and made by Alcatel, who I rate very highly from personal experience. 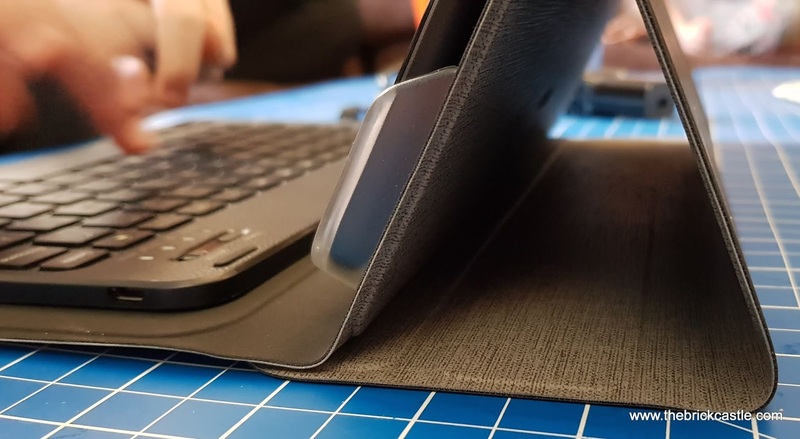 It fixes really well to the magnetic case when in use, although it does occasionally drop as you open the case, but that's usually on a surface anyway, so it has nowhere to fall. 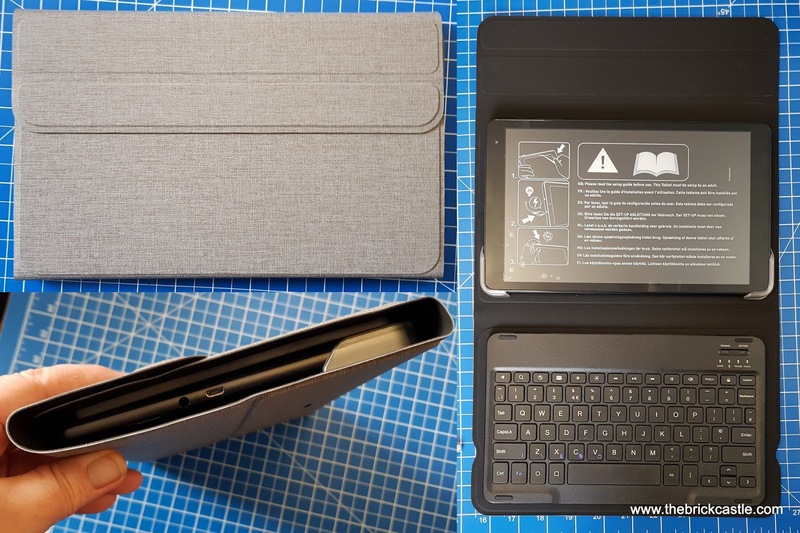 Hybrid or 2in1 refers to the fact you can use the Kurio Smart as a tablet or use it with the keyboard as a laptop. 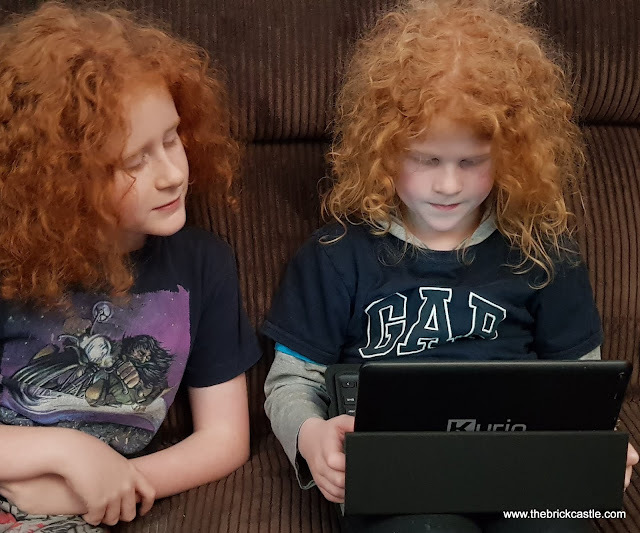 It'll take me a while to get used to the idea of touchscreen AND keyboard, but the boys are used to it from school. The keys are a good size and it is actually ideal for a child's small hands and is chunky enough for an adult to use comfortably too. Both the keyboard and the tablet are micro USB charged and not compatible with the newer USB3, they are USB2, but charging hasn't been a bind and battery life for both has been very good. The charging cable and adapter/plug are included. The Kurio Tablet is lovely, it has a Quadcore processor, 2 Megapixel front and back cameras and 16 GB storage, which is expandable to 128GB by using a Micro SD card. There is a 10" IPS screen which gives wide viewing angles and true colour depth. Running the Android Go (8.1 Oreo) Operating System, which is designed to be barebones and use little power or memory. Typically the recent release of Android 9 means it is already superseded. Technology moves faster than we all expect.. I've not used Android Go before and I've not noticed any lack of speed or responsiveness. Programmes open swiftly and everything is realtime without lag, including the children's games. Our tablet is still new and the memory isn't clogged, but I'm happy so far. Set up was incredibly quick, less than 10 minutes from out of the box to playing the first game. I took it back from my son to look at it further though. Any apps that aren't in the Kurio section will need a parent's approval. This includes anything your child downloads plus some of the pre-installed apps and surprisingly, the camera. That stumped us for ages because we knew it had a 2 cameras, but couldn't see any way to access them. See the video below for a demonstration. Your Kurio arrives pre-loaded with the KURIO Genius Parental Software. This is a brilliant programme which allows parents to control and block app. 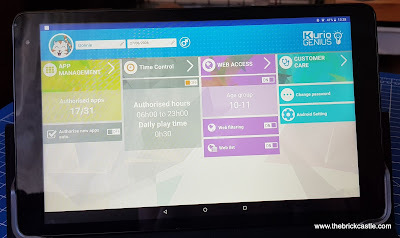 access, manage web access, set time limits even turn on a Blue Light Filter to help stop the tablet keeping your child awake. The parental controls are intuitive and very easy to use, with sliders for length of time and hours of each day that a child is able to even log on. You can allow or bar apps or websites, including apps your child downloads, which have to be 'okayed' before use. The web filtering won't allow anything that is deemed inappropriate for children, but the responsible adults have a lot of control over the settings and limits. You can raise or drop barriers very easily to suit your individual child and there are different default settings depending on your child's age. The Kurio Genius software currently filters over 32 billion websites - thankfully The Brick Castle is allowed! 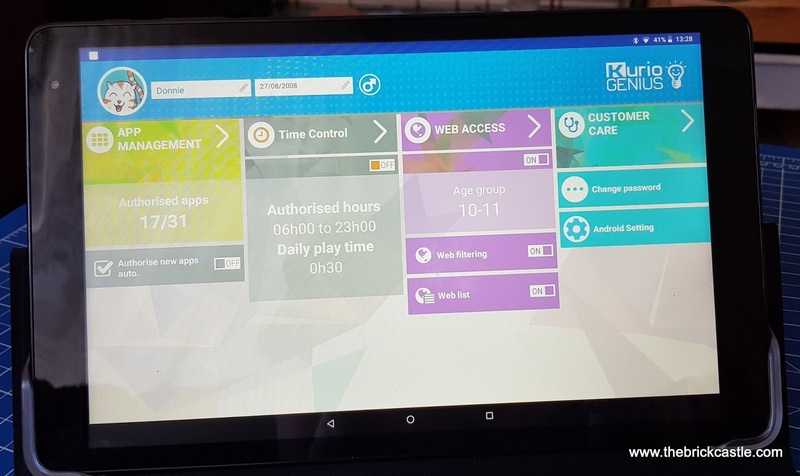 The Kurio Tablet arrives with several apps pre-installed, for both play and homework. Included are popular games like Subway surfers, Cooking Fever and On The Run. 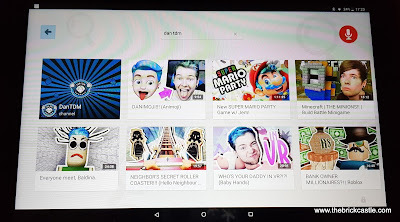 Useful apps including You Tube Kids and Chrome, plus WPS Office which is perfect for homework and will send documents to your wireless printer. 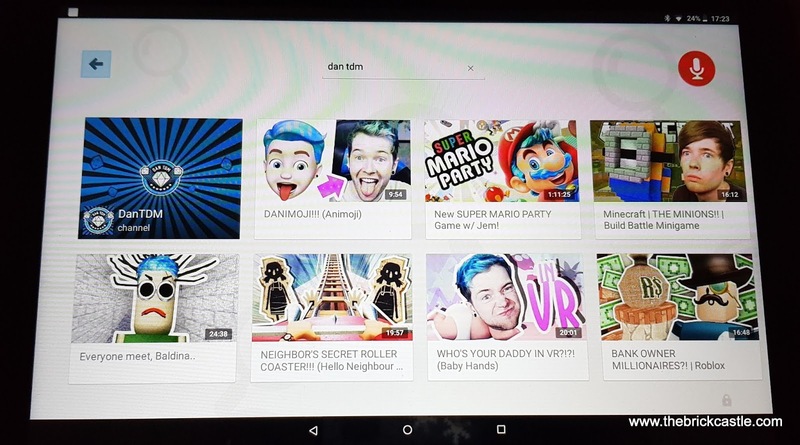 There is also Google Play, where you can get millions of other apps. 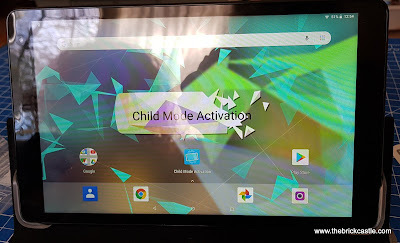 I love the ease at which you can make changes as your child matures and is safe to access more of the online and gaming world. The tablet is simple to set up and use, and my boys are very happy with it. Battery life has seemed excellent so far. I'm a little disappointed we can't make more than one child profile, but otherwise the KURIO SMART has been great. It hasn't actually made my children leap up to do their homework yet though! 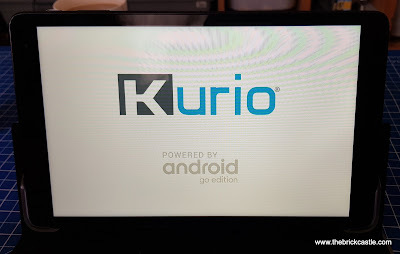 The KURIO SMART is a 10" Tablet with AMD A8 8127 Processor, 1 GB RAM, 16 GB HDD running Android 8.0 (GO). Available to buy now priced £179.99rrp from major toy stores including Smyths where at time of typing it's reduced to £149.99 and online on Amazon (*Aff). 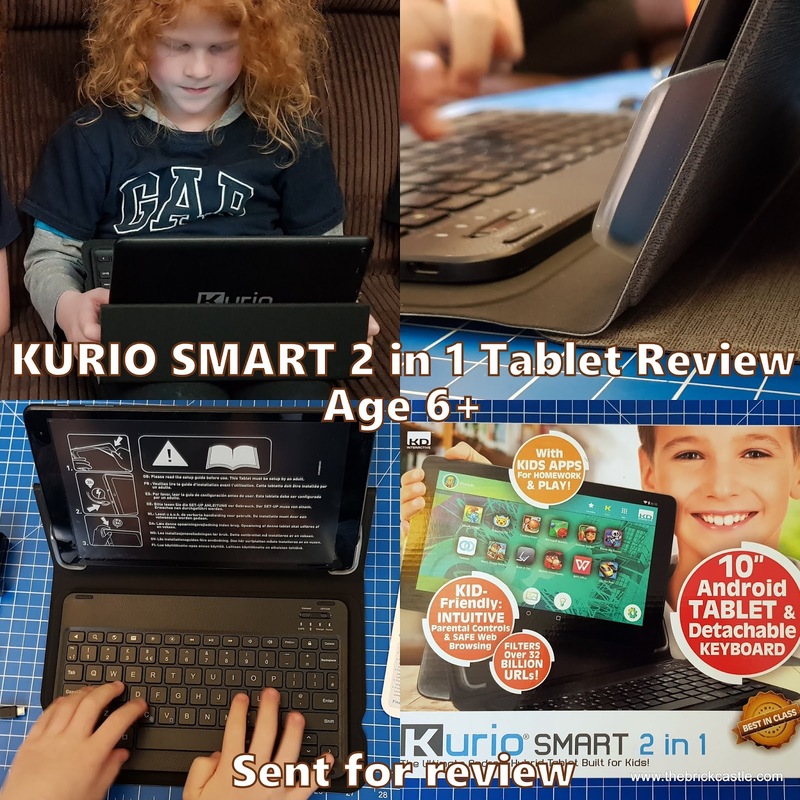 We were sent our KURIO SMART 2in1 to review. *Amazon links are affiliate, so that if everyone who reads this buys a KURIO through my link, I can go on a short holiday to Morecambe. I earn a few pence if you click through my link as a thank you, but you don't pay any more.